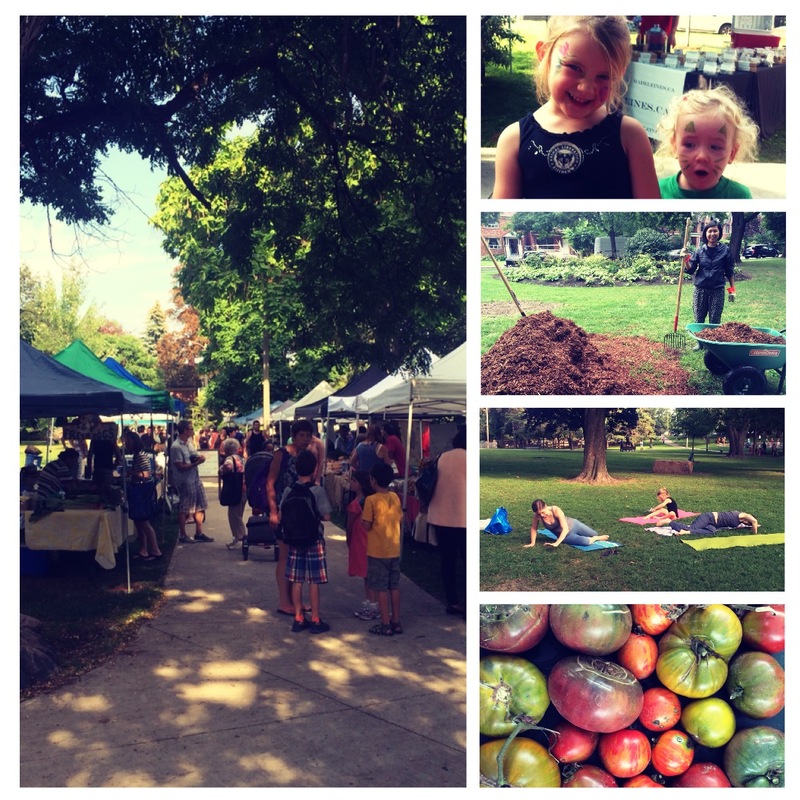 What a truly fun week that brought together Cabbagetown, Regent Park & St. Jamestown! Local face painter Jerri – with her funky red hat – provided some lovely, colourful designs to decorate the young ones faces. Cabbagetown ReLEAF and the FolkLore Art Project from St. Jamestown were able to mulch park trees & keep a place we love so dearly, healthy. The band from the Regent Park CRC band rocked the picnic table area! Please do stop by the organizers table to chat, get the scavenger hunt supplies for your kids & offer up some feedback about your neighbourhood market. Squash is here! Nature’s Way Organics has butternut squash & the Local Gest Farm has cute acorn squash. Make yourself a beautiful summer salad with multi-coloured peppers from Trillium Organics paired with dinosaur kale from Life Spring Beyond Organic Farm. Organic Vibes has unique green veggies, including bok choy & rapini. Did you know?! Madeleines & Haystrom Farm have teamed up. Dustin from Madeleines is using Jim Haywards veggies (zucchini, peppers, onions, tomatoes & eggplant) to make his deliciously savoury ratatouille pie – a perfect ready-made Cabbagetown Market dinner! Tim from Broken Stone Winery will join us in the market with his Prince Edward County grown Pinot Noir & Chardonnay varieties.